Black Magdalene is Star Wrey, Victor St. Petersburg, Brent McKinney, Ruby McConnell, Margarita O'Brien and Christopher Pfeffer. All songs composed and performed by Victor St. Petersburg and Star Wrey. Produced by Victor St. Petersburg. 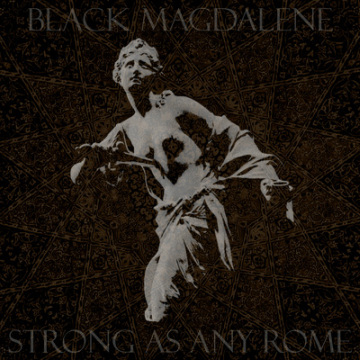 Recorded, mixed and engineered at Auerbach's Cellar by Black Magdalene. Mastering by Thaddeus Moore At Liquid Mastering. Graphic manipulation by Victor St. Petersburg and Brian Crane. Photography by Dan Temmesfeld at Emobie Photography. Viola on track 02 by Charlotte Grahek. Additional percussion on track 02 by Luna Adelle and Brent McKinney. Zaghareets on track 03 by Ruby McConnell and Margarita O'Brien. Additional guitar and percussion on Track 04 by Brent McKinney. Choreography for live performance by Ruby McConnell and Margarita O'Brien. Percussion for live performance by Christopher Pfeffer. Guitars for live performance by Brent Mckinney. We love DJ Abulikah, Luna Adelle, Ami de Paris Salon, Justin Bezelj, Paris Black, Jenn Burns & Cody Calaway, Brian Campbell-Hope, Mitra Chester, Amanda Chmiel, Shawn Cogan, Brian Crane, Deluxe, Joshua Finch at Exiled in Eugene, Cory Frye at Corvallis Gazette-Times, Ghost House, Chris Gierig, Mac Goodwin, Charlotte Grahek, Hip Service, Kitch, Shannon Knight, Kwva 88.1 FM, Kasey Marcusky, Ryan Nelson at Alpine Empire, The Oak Street Speakeasy, Oosa the cat, The Red Raven Follies, DJ Refugium, Dan Temmesfeld, This Fair City, Cevin & Ariana White, Brian & Lana Wirsching and cheap red wine. All Material copyright 2012 Sooth Media. DIY in USA. All rights reserved. © 2019 Black Magdalene. All rights Reserved.